Using unique tools and the original creator of Star Wars' iconic holo chess, the developers at Happy Giant are finally bringing Dejarik to life. 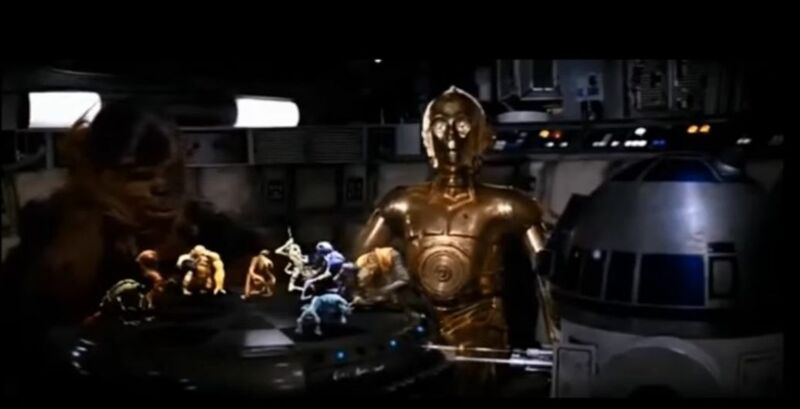 One of the most recognizable scenes in Star Wars: A New Hope takes place during a quiet moment aboard the Millennium Falcon, when C-3PO and R2-D2 are playing a game of Dejarik with Chewbacca. 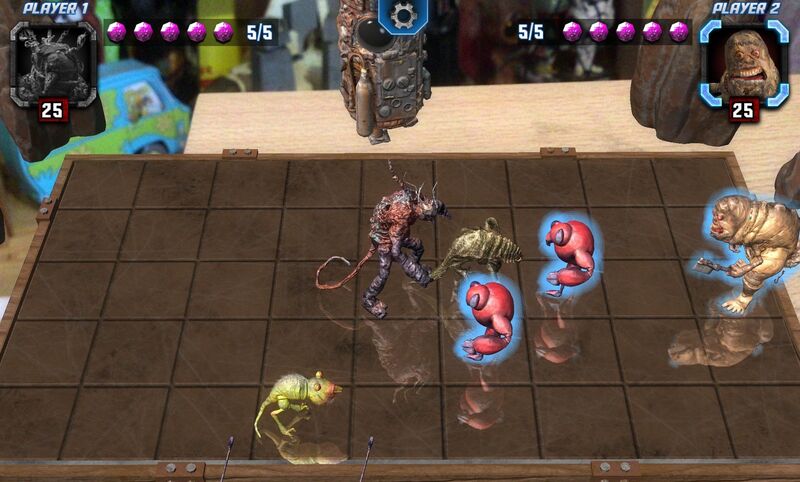 Better known as “HoloChess,” Dejarik is the game played on a circular grid that uses projected holograms of monstrous creatures as the game pieces. Like so many others at the time, game developer Mike Levine remembers this leaving an impression on him. “When I was a kid, seeing that [chess scene] was so cool. I wanted to play that,” he recalls. 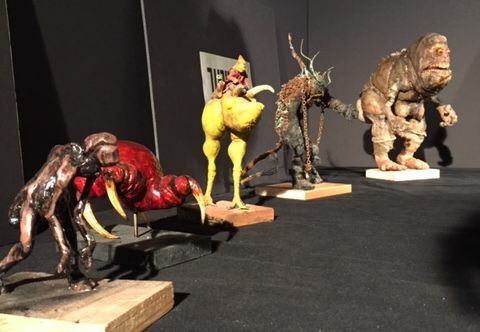 A veteran developer whose previous work was at LucasArts during the ‘90s, Levine is no stranger to utilizing new development technology and found his next game project while toying with both augmented reality and a unique special effects method of modeling called Photogrammetry. A shortcut for creating 3D models, Photogrammetry is a technique in which one takes several images of a sculpted model and uploads the images to automatically create a detailed 3D model. Struck by the way this method made objects and characters appear, Mike was reminded of the Dejarik scene in Star Wars and decided the next game he would work on would be an adaptation of the classic from so long ago. 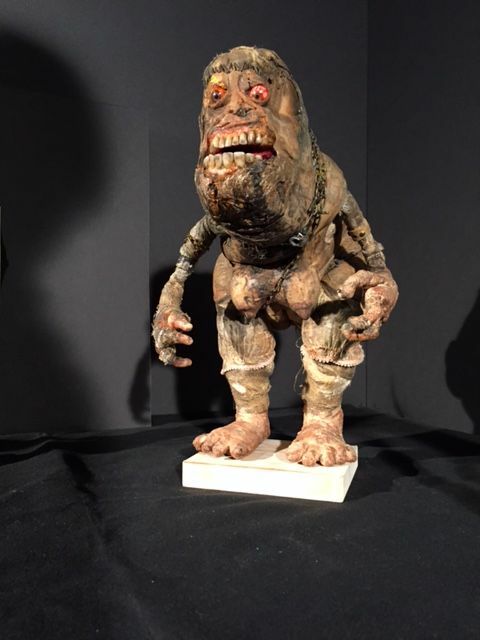 Through friends and business connections, Mike eventually found himself collaborating with Phil Tippett, a visual effects artist whose work has been featured in many major films from the past few decades, including the original Star Wars trilogy, RoboCop 2, Jurassic Park, and yes, the very same holochess scene in A New Hope. When meeting with Phil, Mike was given an amazing opportunity. 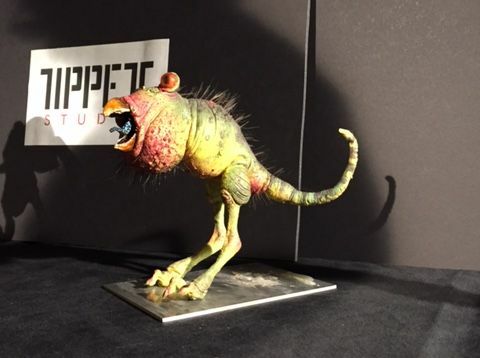 He asked Tippett if he would be interested in creating some creatures to be used as playable pieces in the eventual game, and Phil gave him access to a massive collection of old monsters and creations that either had never been used in the films they were created for, or were from old failed pitches taken down to Hollywood. The Photogrammetry method allowed Mike and his team to make something visually stimulating and unique. Visuals aren’t everything in a game, however. Since it as an interactive element, there was a whole other layer of ideas and work necessary to make HoloGrid a reality. Because it uses AR technology for phones and tablets, there are some limitations that make it challenging for Mike and his team to fully do this. Only a set number of characters can be present on the field of play, which is made even more difficult when porting the game to other AR-capable platforms. “There’s definitely more to figure out, especially within the current confines of this AR and mobile AR; you’re sort of limited in what you can do,” he says. Still, he’s encouraged by the potential and excited about what augmented reality could bring to the world of games, from creating brand new video game experiences to opening up new avenues for more traditional tabletop games. Especially in the wake of Pokemon Go’s massive success. Thanks to the efforts of Niantic and The Pokemon Company, it’s now easier than ever to explain AR to people when describing his game. “Pre-Pokemon [Go], we used to be like ‘we’re making an AR game!’ and get ‘What’s that?’ Nobody knew what it was, and we had to show it to them,” he says. 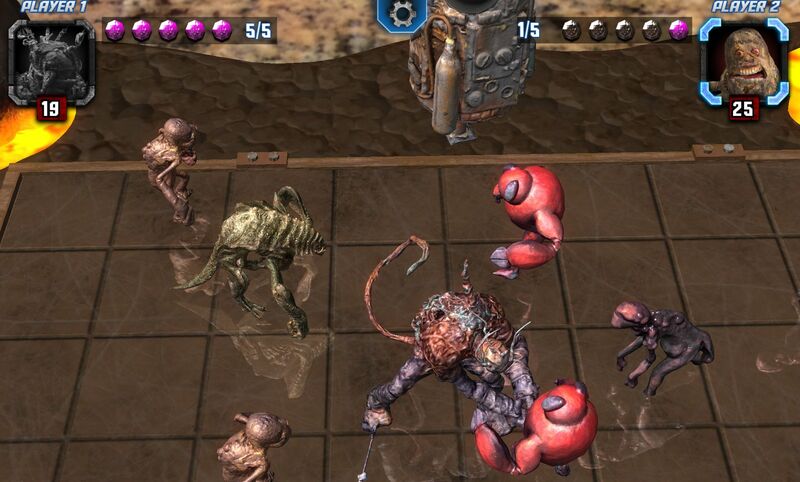 On tablets, HoloGrid uses card scanning to bring characters into the game, the models magically appearing once the card has been placed within range of the camera. The board is projected using another scanned card, and once the characters are in place, HoloGrid pops with a uniqueness, feeling disembodied from this world while remaining strangely tangible. A very early demo version is also currently being tested on the Microsoft HoloLens, a device that suits itself well for this type of game. Using gestures and a built-in cursor, the HoloLens causes the game board to emerge directly in front of the player, giving them reign to move around and study it from all different angles. Although it doesn’t use the same exact creature models as A New Hope, HoloGrid still has flavors of that very design in its creature usage. With several champions, minions, and spells to cast on your opponent, it offers a breadth of characters who are just as fleshy, crude, and horrifying as the ones first spotted aboard the Millennium Falcon. Of course, Mike sees this as a good thing. “jWe wanted to make a game that had that organic look to it. This had a slightly different look to it, and the fact that it sort of married the past, bringing Phil’s work into the digital realm was an interesting aspect of it. HoloGrid is targeting a release window of Holiday 2016 into early 2017 and will sell as a boxed product for approximately $30. I mean, yeah. Absolutely. I want that. I'm SHOCKED this got funded. The kickstarter video wasn't very impressive. It's like they had the idea, but the game wasn't really there.